Despite Bin Laden’s death in 2011, the extremist group Al Qaeda has since survived and, some argue, continued to thrive. The effort and resources Bin Laden invested into Al Qaeda fortified its foundation, making it difficult, if not impossible, to disband or weaken the group after his death. But how did the terrorist group come to be what it is today? Daniel Byman, author of Al Qaeda, the Islamic State, and the Global Jihadist Movement: What Everyone Needs to Know, gives us some insight on how Al Qaeda transformed from a set of fragmented jihadist groups into the unified terrorist group we know today. What were Al Qaeda’s initial goals? On its founding, Al Qaeda emphasized that “our agenda is that of war” and thus declared that it would not focus on humanitarian matters, in contrast to many Islamist groups. In addition, it pledged to be the “constant enemy” of the world’s tyrants while supporting jihadists in Afghanistan. To these ends, Al Qaeda would “promote jihad awareness” and “prepare and equip” jihadist cadres, coordinating them to create “a unified international Jihad movement.” Notably absent from these initial goals is a declared focus on the United States. Why did Al Qaeda focus on the United States? Although Bin Laden himself did not seem obsessed with the United States in the organization’s early days, it clearly shaped his thinking. As terrorism expert Peter Bergen notes, as early as 1984, Bin Laden refused to eat or drink American products because of US support for Israel. In 1987, at the outbreak of the first Palestinian intifada, Bin Laden made his private habits more public by calling for a boycott of American products. Beyond a genuine hatred of the United States and its policies, a focus on the United States was a way to unify a movement that had long been divided over which local conflict(s) to emphasize. By Bin Laden’s logic, defeating America—”the head of the snake,” in Bin Laden’s words—was the first step to winning any and all local struggles. Why was Bin Laden such an effective leader? Wealth made Bin Laden an asset, but it was his charisma that made him a leader. Bin Laden did not have the fiery charisma of revolutionary figures like Iran’s Ayatollah Khomeini, and unlike terrorist leaders such as the Liberation Tigers of Tamil Eelam’s Velupillai Prabhakaran or Sendero Luminoso’s Abimael Guzman, Bin Laden did not foster a cult of personality among his followers. In the end, Bin Laden’s greatest accomplishment is what lives on after him: Al Qaeda survived his death, and like-minded organizations have sprouted up throughout the Muslim world. Perhaps even more important for Bin Laden, his views—especially his call to fight the United States and other “far enemies”—are no longer fringe ideas and continue to this day to inspire young Muslims, many of whom have never met an Al Qaeda member, to take up arms. What are Al Qaeda’s goals today? Opposing “apostate” regimes in the Muslim world. 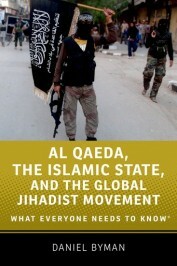 In the long term, Al Qaeda also seeks to create a true Islamic state, or a caliphate. This state might start off weak, but even a small state would allow jihadists to govern. Governing would enable Al Qaeda to impose its version of Islam on those under its control and, more important for this fighting group, create a base from which it could expand its control. Al Qaeda leaders are vague, however, on when such a state should be declared or what it would actually look like in practice, falling back on the comforting idea that if Islamic law is implemented, there will be pious leaders and a just society, and the details will largely work themselves out. How is Al Qaeda organized? Al Qaeda has had multiple organizational structures in its over 25-year history, but in general, it has sought to be highly structured—not, as often portrayed, a loose network. However, outside pressure and the nature of the global jihadist movement have sometimes led it to become more decentralized and network-based. Making this picture even more complex, Al Qaeda has at times used centralized and decentralized methods simultaneously. In the end, this mix of organizational styles makes it difficult to speak of one form of Al Qaeda organization and blurs the line between where Al Qaeda begins and ends. Original Image Credit: ‘OSAMA’ in Pop-art Sketch by Djoko Ismujono. CC BY-NC-SA 2.0 via Flickr. Derivative work by Connie Ngo and released under CC BY-NC-SA 4.0. Daniel Byman is Professor of Security Studies, Georgetown University School of Foreign Service, author of Al Qaeda, the Islamic State, and the Global Jihadist Movement: What Everyone Needs to Know and A High Price and Deadly Connections.